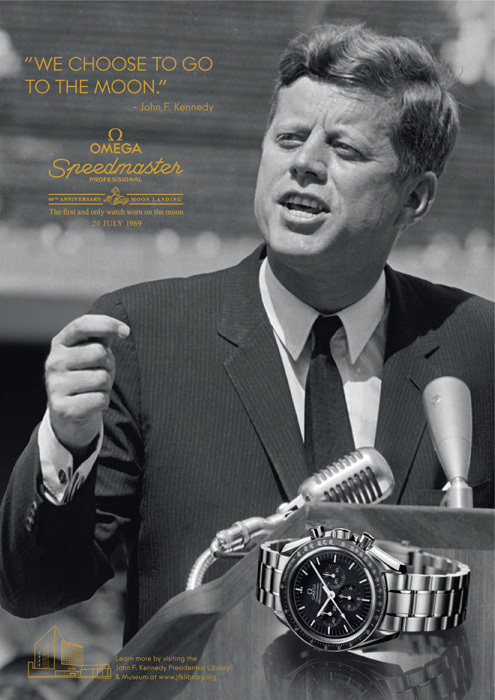 Thursday 23 April 2009 – OMEGA is basing a worldwide campaign for its iconic Speedmaster chronograph watches around a photograph of President John Fitzgerald Kennedy. The use of Kennedy’s image was arranged in cooperation with the John F. Kennedy Library Foundation which administers the rights to the late president’s name and image. The connection between the Speedmaster and Kennedy is a natural one. It was during his thousand days in office that America’s first manned space flights took place. On the final two missions in the Mercury program, Wally Schirra and Gordon Cooper wore OMEGA Speedmasters on their spaceflights (Friendship 7 and Faith 7 respectively). 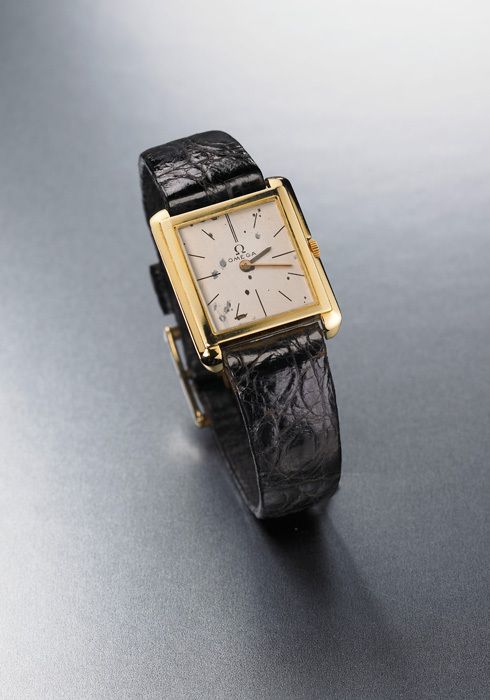 In fact, prior to Cooper’s launch on May 15th, 1963, the Speedmaster became the only watch ever to be approved by NASA for use on all of its manned flights. The popular chronograph has been part of every NASA manned mission since, including the six lunar landings.